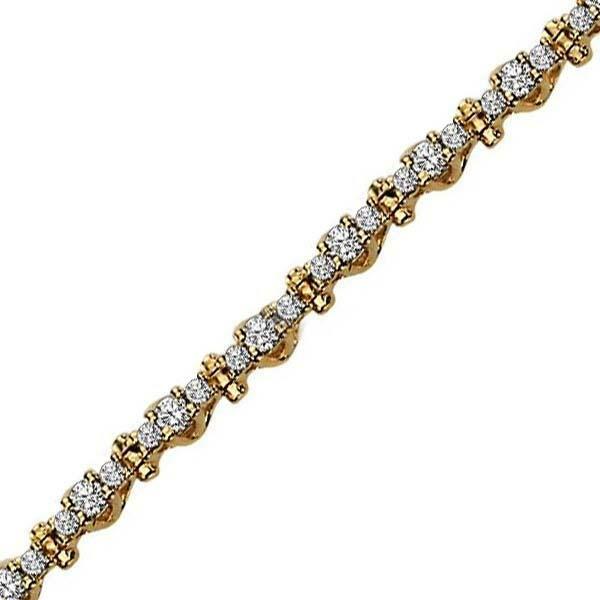 14K Yellow Gold 2 ctw Diamond Bracelet. The alternating sizes of round brilliant diamonds weigh 2ct in total in this 14k yellow gold bracelet. All bracelets are available in WG YG and Two Tone. Call to check availabilty. Normal delivery time 2 weeks after placing the order.